Ancient Native Americans settled here 17,000 years ago along the rich clay banks of the Ocmulgee River, leaving behind a treasure trove of archeological information to be discovered in the 1930s. 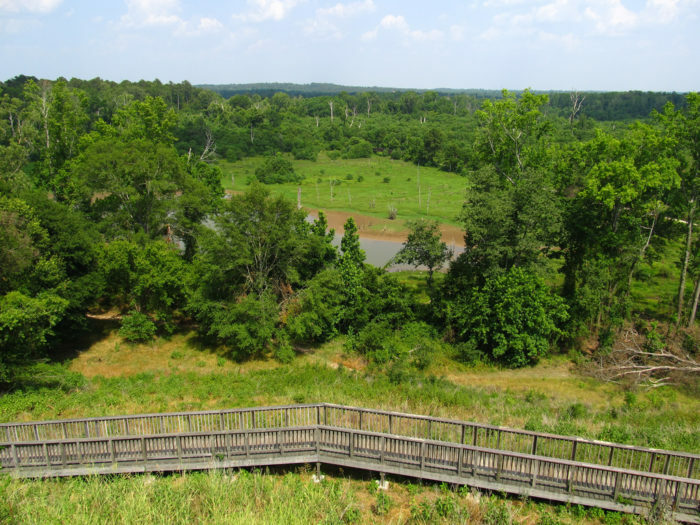 Today, Ocmulgee National Monument pays tribute to that legacy with a fascinating museum, acres of natural beauty and great earthen mounds, including the continent’s only recreated earth lodge where people can see the original 1,000-year-old chamber floor. Listed at #5, Macon's Ocmulgee National Monument has been named one of eleven Under-the-Radar Travel Destinations in Georgia by Only In Your State. "Most people when they visit a new state tend to stick to the more popular, well-known destinations and areas in order to get a true feel for what the state has to offer. Yet, we’d like those visitors to also take a chance on some of the more under-the-radar destinations, too. Take Georgia, for example. While many folks prefer to stick to the Seven Natural Wonders, or bigger cities like Atlanta and Savannah, they don’t realize all those hidden gems that they are missing out on! So, we’ve decided to share some of the more lesser known travel destinations in Georgia, in order to get people excited. In Georgia, there is always more than what meets the eye." Click HERE to view to the entire Only In Your State article.